News! Watch the video of Harry's hunt with Ted Nugent. 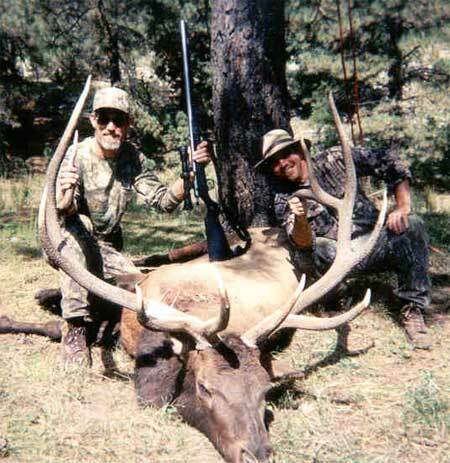 Harry has been personally guiding hunters in Texas and New Mexico since 1988, including some of the best hunts the West has to offer. We have hunts for bow hunters, rifle hunters, and muzzleloader hunters. We hunt from tent camps set in the area we will be hunting. On our private land deer hunts we stay in a heated camp house. You will love the hearty home cooked meals and desserts prepared by our great cook. Hear from some of our hunters who come back every year and check out the gallery & information pages. If you have any questions, call Harry at (903) 536-7130. View pictures from previous hunt to see the beautiful scenery and animal specimens available.